Get ready for a fantastic November with Young Living! A Bonus Essential Rewards exclusive: 15-ml Christmas Spirit: Christmas Spirit is a sweet, spicy blend of Orange, Cinnamon, and Spruce essential oils that recalls the happiness, joy, and security associated with the holiday season. Keep Christmas Spirit on hand and diffuse it to infuse your home with the joy of the season. 8-oz. Ortho Sport: Ortho Sport massage oil has a rich, cooling aroma and is designed for both professional and amateur athletes, as well as for anyone who works or plays hard. 15-ml Frankincense: Frankincense includes the naturally occurring constituent boswellic acid and has a woodsy, warm, balsamic aroma. Diffusing Frankincense during meditation supports grounding and purpose, while applying it topically may help smooth the appearance of healthy-looking skin. PLUS, check this out, you can earn double the promotional items! Simply place the respective PV order through quick order and essential rewards order! This entry was posted in Essential Oils, Essential Rewards, Family, Lifestyle, YL Promo and tagged Bonus, Essential oils, Essential Rewards, Monthly Promo, November, The Oil Posse Team, Young Living on October 31, 2015 by Jordyn Lei. This entry was posted in Card Sets, Contact Cards, DIY, Essential Oils, Family, Holiday, Lifestyle, Marketing Material, PSK, Vendor Events and tagged Class, Class Cards, Contact Cards, Events, Mailing Address, The Oil Posse Team, Vendor Events, Workshops on October 30, 2015 by Jordyn Lei. This entry was posted in Contact Cards, Family, Lifestyle, Marketing Material, PSK, Vendor Events and tagged Class Cards, Contact Cards, Essential oils, Get Your Oil On, Guest Cards, The Oil Posse Team, Young Living on October 30, 2015 by Jordyn Lei. This flyer has been UPDATED to include the Vitality Oils and remove the bamboo diffuser and added the home diffuser. You can find the UPDATED flyer HERE. This entry was posted in Essential Oils, Flyer, Marketing Material, PSK and tagged Essential oils, flyer, Marketing Material, Premium Starter Kit, PSK, Why Join, Young Living on October 23, 2015 by Jordyn Lei. This class invitation flyer is perfect for hanging up around town so you can bring potential members to your class. Yes, you can edit to type in your class and contact information in the space provided. If you do not know how to or are unable to add your contact information before printing, you can write it in with a permanent marker, after printing. Besides adding your class and contact information, please do not edit this flyer in any manner. The link to download the file is found beneath the preview picture below. 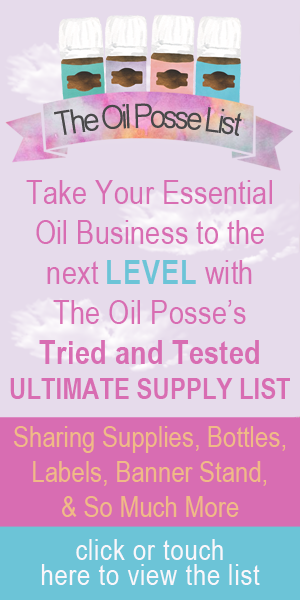 This entry was posted in Essential Oils, Family, Flyer, Marketing Material, Vendor Events, YL Graphics and tagged Class, Essential oils, Event, flyer, Invitation, The Oil Posse Team, Workshop, Young Living on October 21, 2015 by Jordyn Lei. This entry was posted in Brochure, Business Cards, Card Sets, Compliance, Contact Cards, Custom URL, DIY, Essential Oils, Essential Rewards, Family, Flyer, Half Flyer, History, Holiday, Lifestyle, Marketing Material, NingXia Red, Research, Resources, Update, Vendor Events and tagged Amazon, Christmas, Fire, Gift, Giveaway, holiday, Incentives, Kindle, Presents, Promotional Item, Tablet, The Oil Posse Team on October 21, 2015 by Jordyn Lei.